Function: have a proper place to sit down. Fashion: minimalist design, reduced look. 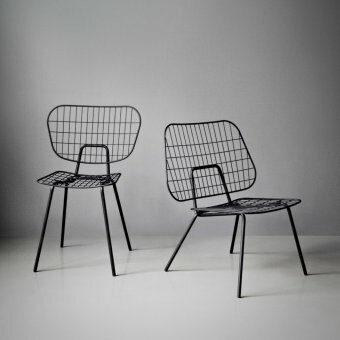 Menu Stuhl WM String Lounge Chair was invented by Wendo Legro and Maarten Collignon, a design stuio from Rotterdam. Inspired by all the human senses they wanted to create seamless design to represent the love they put into their detailled work for so many years. Read more about the Menu Chair here.